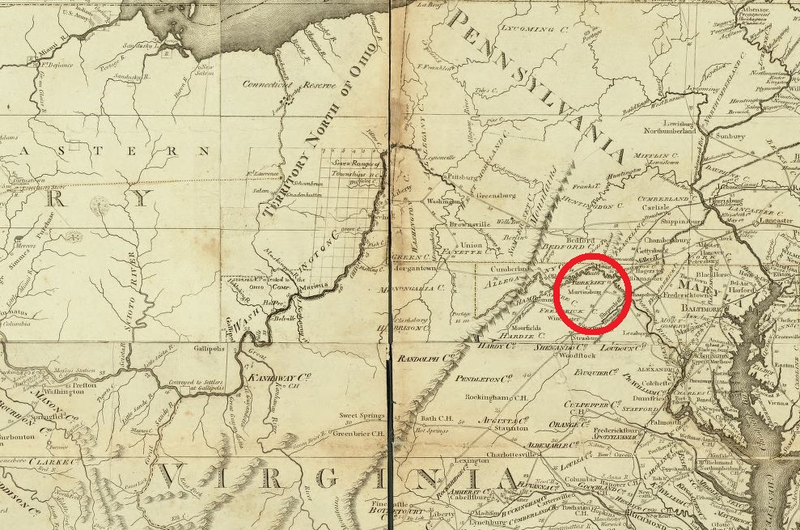 The stage is set: Berkeley County in the late 1700's when it was still part of Virginia. The leading lady is Mary (Kirk) Geiger, a likely sister to my fifth great-grandfather Thomas Kirk. Their genetic link has cast Mary as a central figure - the linchpin, really - in the effort to identify Thomas' parents. Like fame-hungry paparazzi, this investigation has followed her to Berkeley County. It's there in 1797 that a marriage bond recorded her impending nuptials to Anthony Geiger. The surety for the bond was John Beard, husband of Margaret Kirk, and likely uncle to Mary and Thomas. Why wasn't the surety a male Kirk? Where was her father? Had he pre-deceased the 1797 marriage? Surely an 18th century single woman wouldn't be too far from her parents. 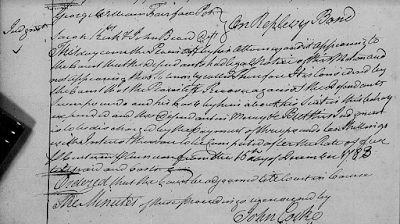 Could pre-1797 Berkeley County records identify her father? Berkeley County's surviving tax, land, and court records date to the early 1770's. From these records emerge a couple who are of particular interest. Were they Mary and Thomas Kirk's parents? 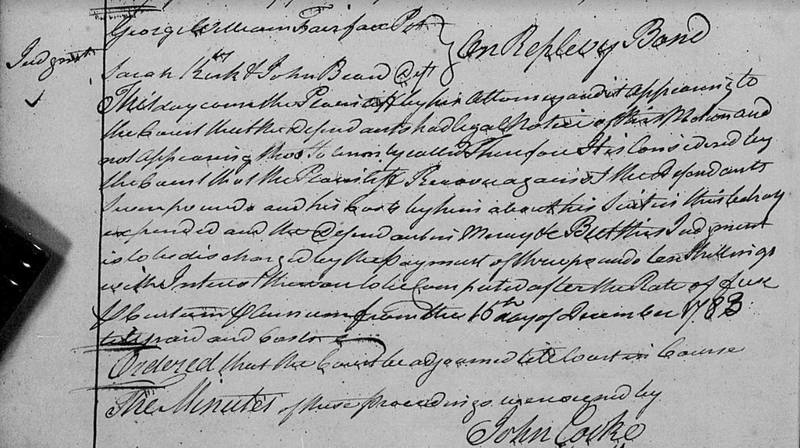 Joseph Kirk, along with his brother John, made their first recorded appearance in Berkeley County on a 1773 land lease, which identified them as siblings. The land was leased to them by George William Fairfax. 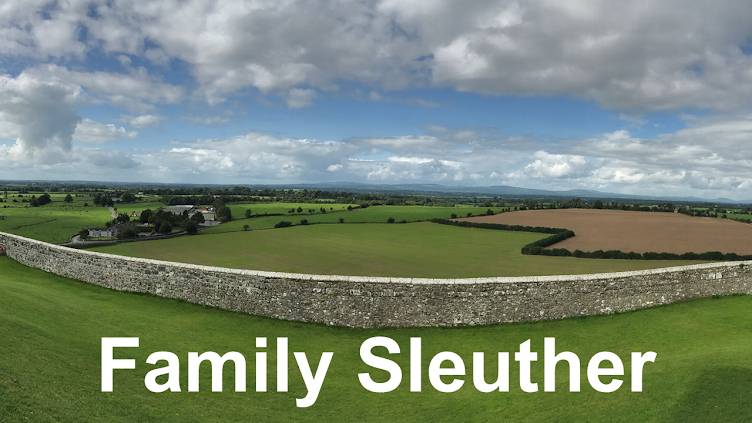 In the following decade, the two brothers also appeared in county tax records (as featured in last week's post Building A Reverse Genealogy Case Study). In 1787, following Joseph's death sometime between 1784 and 1788, his presumed widow Sarah first appeared on tax records. She continued to appear in the records intermittently throughout the following decade. The research pauses here. The next step is to review the Berkeley County probate records to see if a file exists for Joseph. Until then, the investigation is currently on hold because the county's digitized records are restricted, only accessible to view from within a family history center. I need to convince my local family history center to let me pull an all nighter. I did manage to make one discovery (from the comfort of my home) in the Berkeley County court order books. In 1783 or 1784, a judgment was recorded between George William Fairfax as plaintiff and Sarah Kirk and John Beard as defendants on a replevy bond. A replevy bond is "a procedure used by a court to protect against the loss of property sought to be returned to a petitioner." Sarah Kirk & John Beard Deft. Ordered that the court be adjourned [illegible] court in course. Apparently the Kirks fell behind on their payments to Fairfax, and, per the terms of the lease, he took them to court to recoup his losses. It's curious to see John Beard appear with Sarah on the record. Did he do so because both Joseph and John, the original parties to the land lease, were deceased? Was he her go-to male representative because he was her most senior living relative? I haven't yet located anything further on this case, so it's still not known what the outcome was on the lease for the land. Was the property relinquished back to Fairfax? I need to dive further into those (non-indexed!) court order books. What is known is that Joseph Kirk's executors paid land tax as late as 1797, so it seems they were able to get their financial house in order and pay their debts to Fairfax. It's worth reiterating that 1797 was when Mary Kirk married Anthony Geiger. All of this talk about Joseph, Sarah, and Mary Kirk jogged my memory. In summer 2017, I visited the Licking County Genealogical Society's Library in Newark, Ohio. With limited research time, I made quick notes from the handful of volumes I reviewed with the intention of pouring over them more carefully at a future date. Among the books I reviewed was a 1992-published volume by Mary Elizabeth (Geiger) Riggs titled, Branches of a Geiger Family Tree. 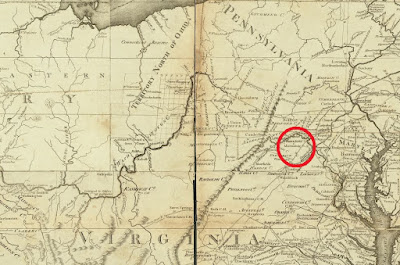 "The family lived in Maryland through 1786, at which time they moved to Martinsburg in Berkeley Co., Virginia. Mary Kirk, daughter of Joseph and Sarah Kirk, married Anthony 26 September 1797 in Martinsburg." There you have it. A descendant of Anthony and Mary (Kirk) Geiger named Mary's parents as the very Joseph and Sarah Kirk that I've been investigating. Now if I could just find a document to corroborate that claim. Riggs' book adds, "Mary Kirk, of Irish descent, had two brothers and one sister, all of whom had a primary education." It's maddening that the siblings weren't named, and I can't help but wonder if Thomas was one of them. Riggs' narrative included very specific details about Mary, lending an air of added credibility to the family history: "Mary was five feet in height, weighed 180 pounds, had light, brown hair and brown eyes... Mary Kirk Geiger died from 'Head Pleurisy' on 6 June 1832 at the age of 58. She is buried in the Beard Cemetery in Jacksontown, Ohio." The descriptive details about her physique and the cause of her 1832 death are very specific. No one makes that stuff up, right? The specificity makes them seem persuasively true. Mary Elizabeth Riggs is my new favorite person, but I learned that, sadly, she passed away in 2009 at the age of 90. I wonder if her descendants have kept her genealogy, and whether it includes names for Mary's siblings, or cites substantiating records. Regardless, a new avenue of research has opened up, and the once cold case to identify Thomas Kirk's parents has started to heat up. Wonderful research, Michael. Can't wait for it to boil over! Love the map from 1796. Thank you, Cathy! I always have to remind myself when I start researching in a new area to check the Library of Congress' database to see if they have maps of the area dating from my ancestors' time. They add great context. I sure hope this is the right path. I appreciate the vote of confidence, and I'll definitely keep you all updated. Thanks for coming along for the ride! I agree with Cathy and Amy. I think you are heading in the right direction. Leave no stone unturned! I'm plotting a visit to a nearby family history center this weekend, so no stone will be left unturned.